When it comes to new launches in makeup products, nobody does it better than PAC. I like using the makeup brushes from the brand since they surely know their brush game well. However, since the past couple of months they are coming out with excellent launches that are quite competitive in the beauty market. Recently, PAC Spotlight Ready Liquid Concealer was launched, and the brand launched it in 14 different shades which is insane! So many brands don’t even have foundations in these many shades and for a concealer, the shade range is just so impressive! I had previously tried the PAC Concealer Palettes Go Light and Go Deep and they were quite good. I was so happy when I got my hands on these new launches and couldn’t wait to try them out. Here are my views on the concealers. The concealers come in a cardboard box with the all the details of the product. The box is colour coded along with the name and number of the shade which makes it easier to identify. 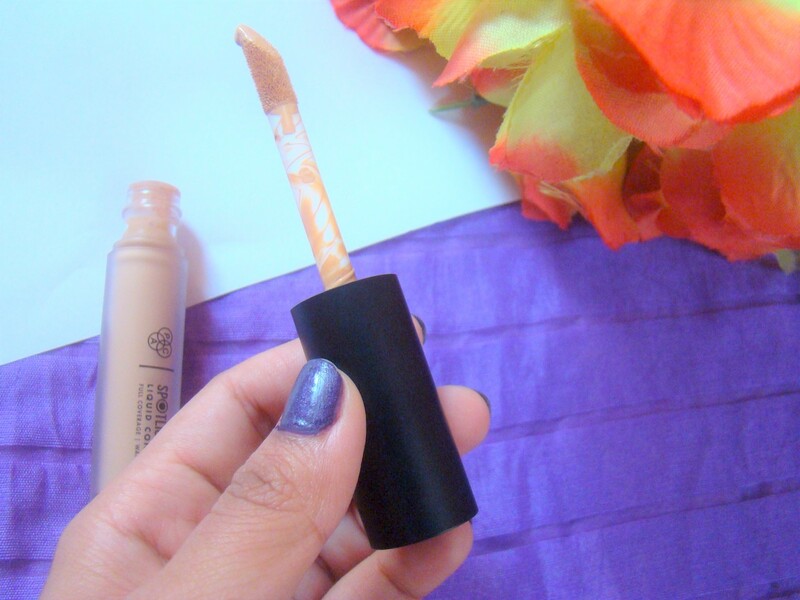 The concealer comes in a frosted glass tube with black cap which makes it look so classy. The doe foot applicator makes it so easy to apply without messing up. I am really impressed with the packaging. I picked up the shades 03 Sand and 04 Skin Peach. 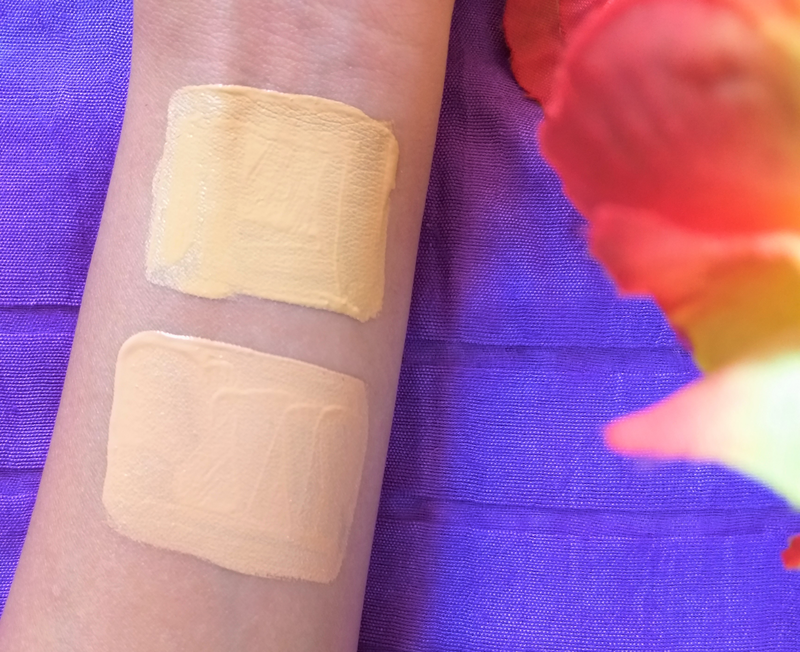 Sand is light and has yellow undertones which would be suitable for fair to medium skin tones for highlighting the under eyes and other high points of the face. skin Peach is light as well but has pink undertones. This concealer is so thick that you need to be extremely careful with the application. It is so lightweight that I do not feel like I’m wearing it under my eyes. Also, it is full coverage so you can cover up spots and conceal the dark under eyes easily. However, even though it provides a high coverage it blends seamlessly with both brush and beauty blender and doesn’t crease at all. It mattifies my skin within a few seconds but doesn’t dry out the area at all. I am happy that there’s finally a good concealer in the market that gives a high coverage as well as doesn’t cake up. It is also waterproof so one can wear it even during summers without having to worry about sweat or humidity ruining it. The only thing that I need to be careful with is that it settles into the skin quite quickly, so I have to blend it faster. That’s not much of a concern though and can be worked with easily. Also, once I set it with a loose powder it just stays in place throughout the day and doesn’t move at all. PAC Spotlight Ready Liquid Concealer is priced at ₹ 765 for 5.5 g of product which I think is fair enough. You need only a small quantity to conceal the areas and it would last definitely longer. And for such a good product the price is worth. I have dry under eyes and I generally avoid full coverage concealers since they tend to crease and cake up within some time of the application. However, with the PAC Spotlight Concealer, I didn’t experience any such thing which took me by surprise. Usually, all the full coverage concealers that I have tried in the past have dried up the area under my eyes. But this concealer is quite hydrating even though it mattifies. It instantly brightens the under eyes and the high points of my face where I generally apply a concealer for highlighting. 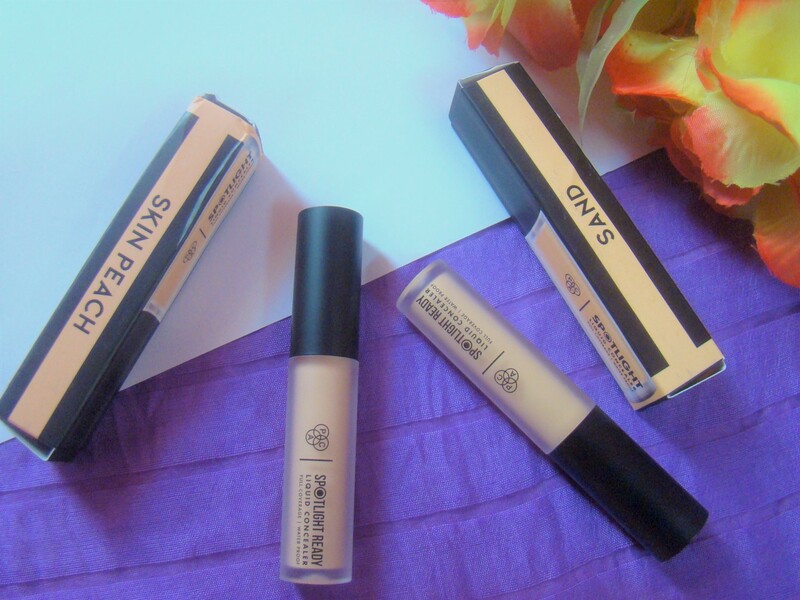 And the best thing about these concealers is the shade range! With so many shades there’s always something for everyone. Since it is lightweight yet has a full coverage, I tend to reach out for it whenever I want to cover my dark spots and acne scars. 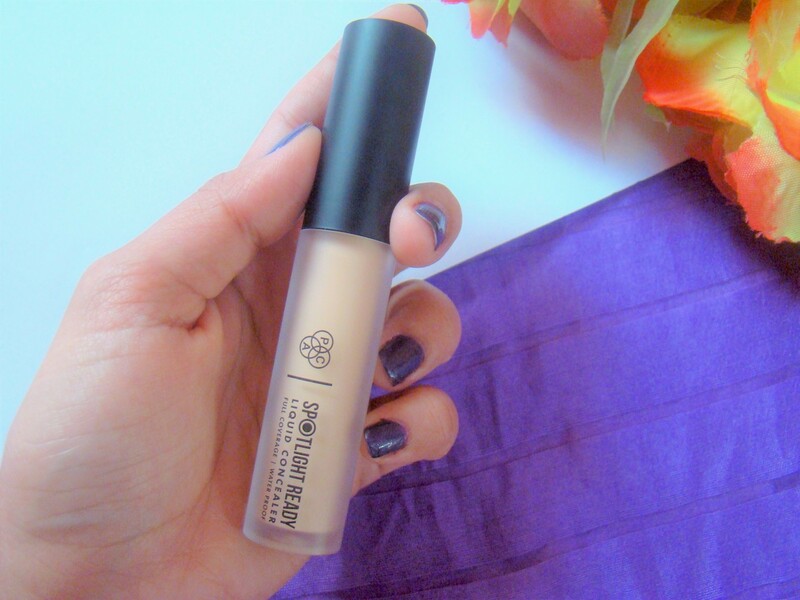 Overall, I am quite satisfied with the concealer and would surely recommend you to give it a try. Check out swatches of all 14 shades of PAC Spotlight Ready Liquid Concealer in Youtube video here.